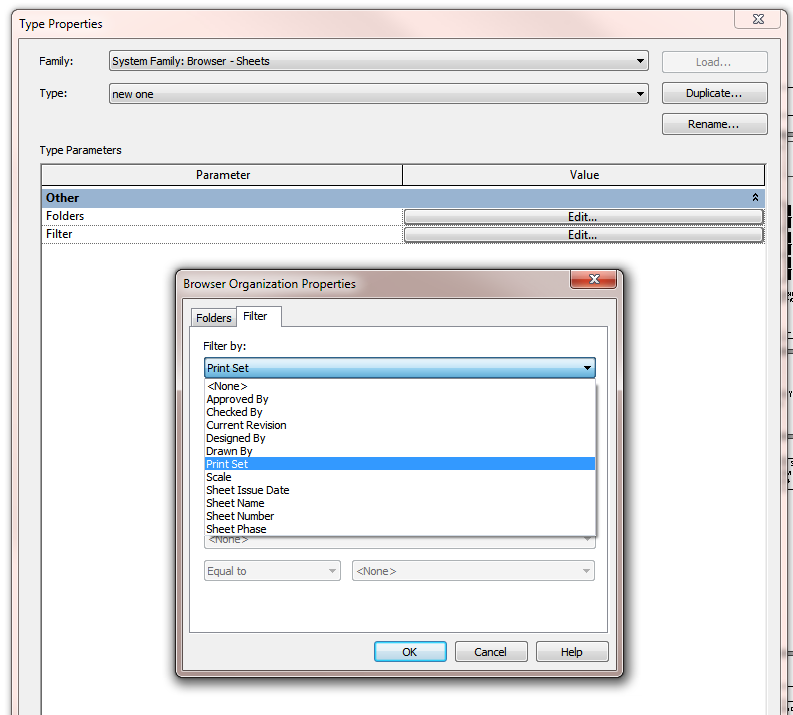 You can Filter Sheets in the Project Browser by the “Print Set” – that is, by saved sheet selection. 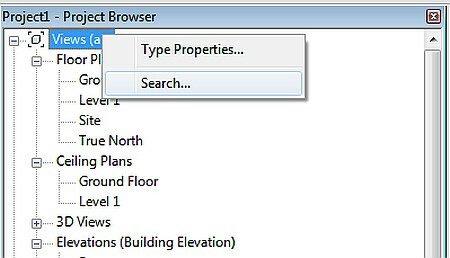 …Being new to Revit (2011) is there a way to locate newly created views in the project browser? Or do a search? Or am i stuck using filters? 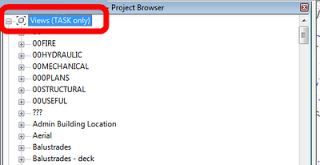 Remove all filters / folders from the Project Browser (so that all views are grouped together). 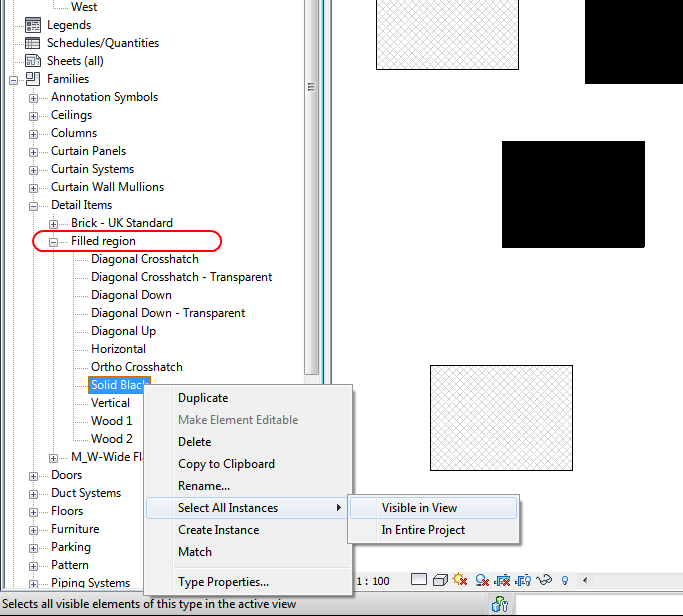 When you make a new view, Revit ‘activates’ it (and makes it bold), so you can just scroll down through all the views until you see one with a bold name. 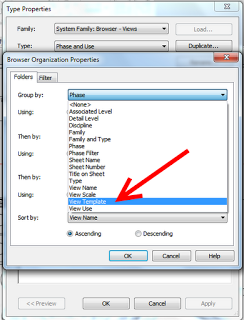 Set up a Quick Filter parameter. Let’s say it is called ‘Job Task’ or something. Add this parameter to all views. 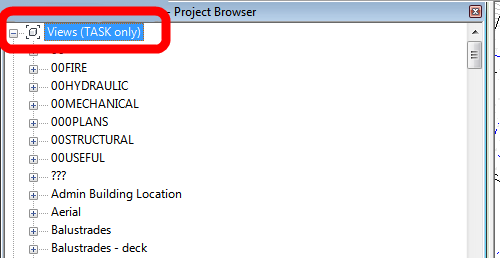 Then, Filter your Project Browser by ONLY that property. 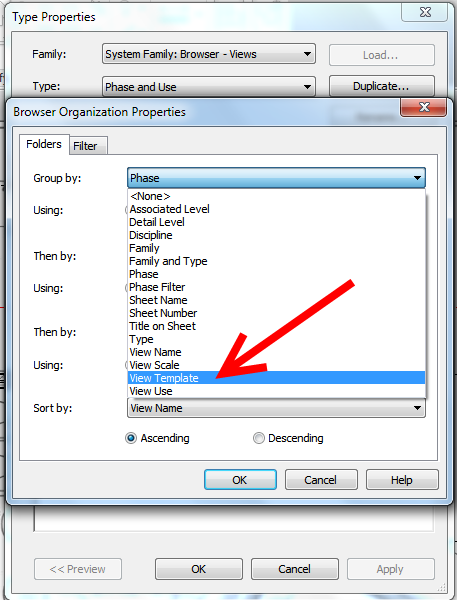 When you make a new view, set the ‘Job Task’ parameter to something – and then you will see the view appear under that folder. 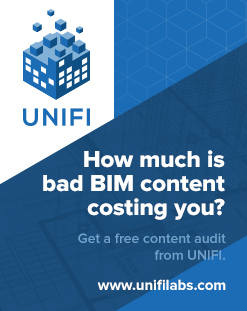 I currently use this method on a large project to divide views logically by the actual Revit work that they are associated with. 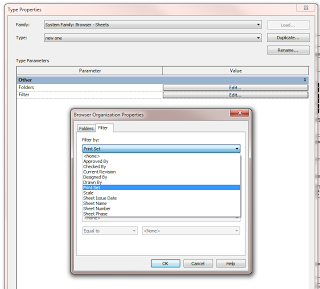 Make a View List (Schedule – View List) that includes the View Name property. Now, filter by View Name – contains – whatever text you are searching for. You have created a ‘View Search Tool’. It’s not perfect, but it does work. 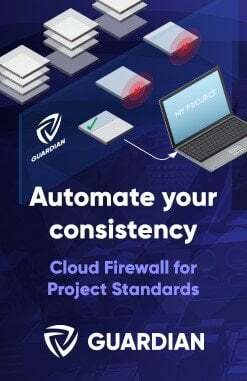 Set up your Project Browser folders and your Default View Templates such that you ‘know’ which folder a particular View type will end up in. This kinda works for new Views, not so much when ‘Duplicating’ a view. If you do ‘Duplicate’ a view, look for ‘Copy of’. Annoyingly, Revit hasn’t adopted the Vista / Windows 7 convention of appending ‘- Copy’ to copies of things. This has been on my wish list for a while! Hope some of these ideas help you newer users to find those sneaky new Views!